Home News "Iddo Overhead Bridge is Safe," says FMPWH, after fear cracked users. 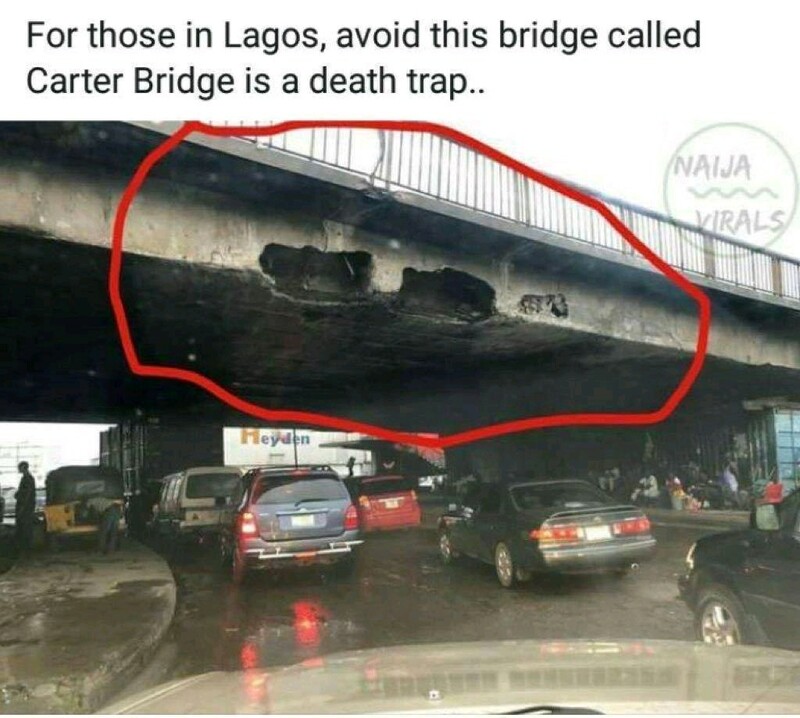 "Iddo Overhead Bridge is Safe," says FMPWH, after fear cracked users. The Federal Ministry of Power, Works and Housing have assured Lagos public that the Iddo Bridge is still safe for use. This is a a result of deep crack on the caused by trailers under the bridge, leading to 'death-fear' on users. According to assurance given by Director, Highways, Bridges and Designs in Works Ministry, Adetokunbo Sogbesan, the structural integrity of the Iddo overhead bridge is not affected. 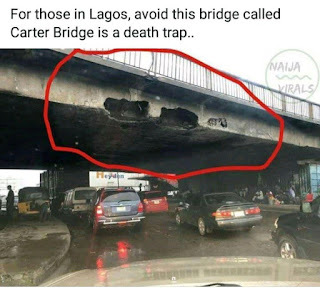 "Federal Ministry of Power, Works and Housing wishes to assure the good people of Lagos State that experts from the Ministry have examined the damaged part of Iddo Overhead Bridge (not Carter Bridge as mentioned in social media posts). "There is no cause for alarm as the cracks caused by constant abuse of the Bridge has not affected its structural integrity and will be fixed in due course." "Some tests had been conducted and the bridge is structurally okay and safe for use. The vehicles carrying excess load beyond the headwall of the bridge had knocked off outer slabs meant to beautify the bridge. The beams of the bridge had hollows which were covered by slabs but vehicles carrying loads beyond their headroom pulled off some outer covering of the bridge. "The hollows are spaces. The structurally stability of the bridge both longitudinal and diagonal beams are structurally okay but for aesthetics measures the beams were covered with reinforced walls. It is the walls that are broken. "We have been examined and inspected the bridge and we can confirm that structurally, the bridge is okay," he said.